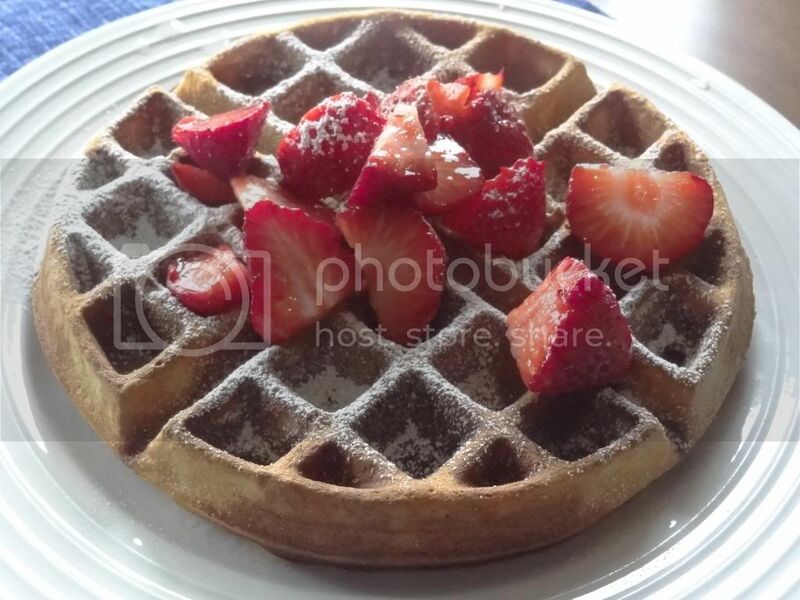 This bright and sunny morning called for some waffles. Though I intended to make buttermilk waffles as I had some leftover buttermilk to finish, this recipe from Martha Stewart was too simple to pass. I substituted white whole wheat flour for a healthier version and they turned out great! I also added a teaspoon of vanilla because that makes most breakfast items even better.